As it pertains to concrete Floor Grinders, contractors today have a ton of options when making a purchase. Of the three key features to consider when buying a floor grinder, the number of heads on the machine will be an important place to start. Traditional logic might dictate that the more heads on the machine, the better the machine is. However if this were true, variations in concrete floor grinders wouldn’t exist. This is why it’s important to know which machine to pick for the kind of jobs you’ll be doing. It’s important to note that, technically speaking; the right operator could do nearly any job with any machine. While we could debate about the capabilities of each type of machine, we’ll generally be speaking about best uses (not necessarily only uses). 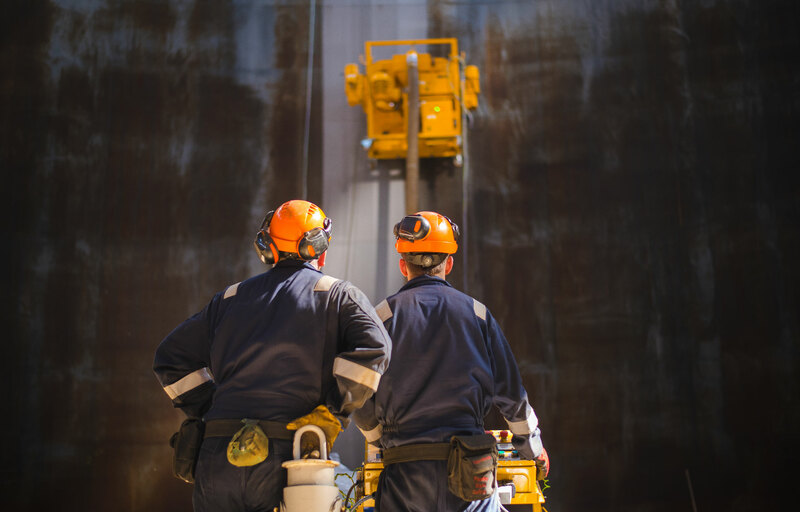 Tight workspaces, hard-to-access projects, and smaller jobs are where these machines shine. Ideal for lightweight use, single head grinders are fantastic for hard-to-reach pl aces and getting that much closer to edges and walls. Due to the nature of being a single head machine, polishing is a little less desirable because of the difficulty in achieving a uniform scratch pattern with a small non-planetary machine. You’ll find that Single head units tend to be viewed and used as a ‘general purpose’ machine. As these machines don’t really specialize in a particular aspect of surface prep, they’re sought out for their versatility and DIY nature. Commonly found at rental houses, these machines are quite often used by a variety of contractors. A step up from the single head grinders, two heads really are better than one. Literally covering double the area, these machines are great for grinding down a slightly bigger area in a quicker timeframe. Whether you choose an overlapping or non-overlapping plate design will dictate the way you operate the machine. Grinding and surface preparation is still where this machine is best but it’s still possible to polish. Similar to the Single head grinders, Double head grinders are used as sort of general purpose machines and commonly found in rental houses. Planetary floor grinders are great for the multifaceted contractor who makes regular use of his machine. 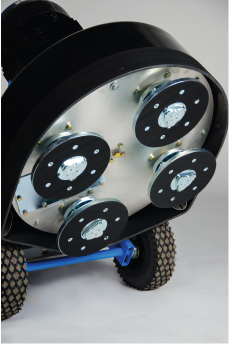 Because of the way the plates will work together to cover ground evenly, their scratch pattern is more easily controlled than single and double headed machines, thus making it easier to be consistent. 3 headed planetary machines available on the market tend to have a higher down pressure than machines that have more than 3 heads. This is simply due to the fact that the weight of the machine is only spread across 3 heads instead of 4 or more. As a result, these machines have the potential to be more aggressive on the heavy surface prep projects. Due to the nature of a 3 head grinder design, it can be very tiring to work with one all day because of the constant pull of the machine in one direction. A 4-head planetary grinder polisher will meet the needs of most contractors who take on projects with large square footage or tight deadlines. Able to grind effectively and productively due to its planetary nature, a 4-head machine has the potential to give a better polish because of the very uniform scratch pattern that is left behind. This is a result of having two of the four heads (opposite each other) spin in one direction while the other two spin the opposite direction. 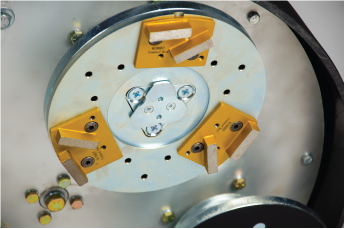 This balance of forces significantly reduces operator fatigue and gives greater control. When getting into Concrete Grinders with more than 4-heads, a lot of homework needs to be done by the contractor to know that he’s getting exactly what he needs for the money he’s spending. As we stated earlier, more heads does not equal more value. Just like with other machines, considerations like the weight applied to each head, planetary vs non-planetary, tooling costs, and so on will help guide you in choosing what’s right. Today more than ever, there are so many variations in grinder polisher machines that making the decision of which one is best is more complicated. However choosing the right machine for your jobs will not only increase your return of investment, but upfront could save your company thousands of dollars. Who wouldn’t like that?